Neurobehavioral effects of cognitive training have become a popular research issue. Specifically, behavioral studies have demonstrated the long-term efficacy of cognitive training of working memory functions, but the neural basis for this training have been studied only at short-term. Using fMRI, we investigate the cerebral changes produced by brief single n-back training immediately and 5 weeks after finishing the training. We used the data from a sample of 52 participants who were assigned to either an experimental condition (training group) or a no-contact control condition. Both groups completed three fMRI sessions with the same n-back task. Behavioral and brain effects were studied, comparing the conditions and sessions in both groups. Our results showed that n-back training improved performance in terms of accuracy and response speed in the trained group compared to the control group. These behavioral changes in trained participants were associated with decreased activation in various brain areas related to working memory, specifically the frontal superior/middle cortex, inferior parietal cortex, anterior cingulate cortex, and middle temporal cortex. Five weeks after training, the behavioral and brain changes remained stable. We conclude that cognitive training was associated with an improvement in behavioral performance and decreased brain activation, suggesting better neural efficiency that persists over time. The online version of this article ( https://doi.org/10.1007/s11682-018-9925-x) contains supplementary material, which is available to authorized users. This research was supported by grants from Jaume I University (P1•1B2013-63) and Ministerio de Economia y Competitividad (PSI2013-47504-R and PSI2016-78805-R). Authors AMP, EB and MJFC were supported by pre-doctoral graduate program grants (Jaume I University FPI to AMP; National FPU to EB; and National FPI to MJFC). This research was supported by grants from Jaume I University (P1•1B2013–63) and Ministerio de Economia y Competitividad (PSI2013–47504-R and PSI2016–78805-R). Authors AMP, EB and MJFC were supported by pre-doctoral graduate program grants (Jaume I University FPI to AMP; National FPU to EB; and National FPI to MJFC. All procedures performed in studies involving human participants were in accordance wit the ethical standards of the institutional Review Board of the Universitat Jaume I and with the 1964 Helsinki declaration and its later amendments or comparable ethical standards. Anguera, J. A., Bernard, J. A., Jaeggi, S. M., Buschkuehl, M., Benson, B. L., Jennett, S., … Seidler, R. D. (2012). The effects of working memory resource depletion and training on sensorimotor adaptation. Behavioural Brain Research, 228(1), 107–115. https://doi.org/10.1016/j.bbr.2011.11.040. Hempel, A., Giesel, F. L., Garcia Caraballo, N. M., Amann, M., Meyer, H., Wüstenberg, T., … Schröder, J. (2004). Plasticity of cortical activation related to working memory during training. American Journal of Psychiatry, (April), 745–747. https://doi.org/10.1176/appi.ajp.161.4.745. Redick, T. S., Shipstead, Z., Harrison, T. L., Hicks, K. L., Fried, D. E., Hambrick, D. Z., … Engle, R. W. (2013). No evidence of intelligence improvement after working memory training: a randomized, placebo-controlled study. Jourrnal of Experimental Psychology: General, 142(2), 359–379. https://doi.org/10.1037/a0029082. Schneiders, J. A, Opitz, B., Krick, C. M., & Mecklinger, A. (2011). Separating intra-modal and across-modal training effects in visual working memory: an fMRI investigation. Cerebral Cortex (New York, N.Y. : 1991), 21(11), 2555–2564. doi: https://doi.org/10.1093/cercor/bhr037. Thompson, T. W., Waskom, M. L., Garel, K. L. A., Cardenas-Iniguez, C., Reynolds, G. O., Winter, R., … Gabrieli, J. D. E. (2013). Failure of working memory training to enhance cognition or intelligence. PLoS One, 8(5). https://doi.org/10.1371/journal.pone.0063614. Vandervert, L. (2009). Workingmemory, the cognitive functions of the cerebellum and the child prodigy. In: L. Shavinina (Ed. ), International Handbook on Giftedness (1st ed. pp. 3–13). Springer Science+Business Media B.V. https://doi.org/10.1007/978-1-4020-6162-2 13. Wager, T. D., & Smith, E. E. (2003). Neuroimaging studies of working memory: a meta-analysis. 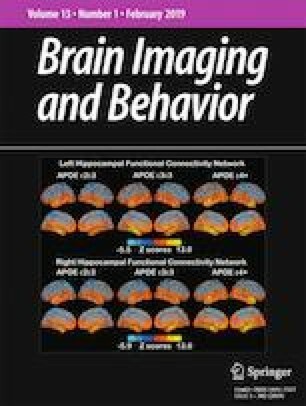 Cognitive, Affective, & Behavioral Neuroscience, 3(4), 255–274. Retrieved from http://www.scopus.com/inward/record.url?eid=2-s2.0-2342597739&partnerID=40&md5=d13bba90ed9b65ae16fd931accf885b1.